A tariff or duty (the words are used interchangeably) is a tax levied by governments on the value including freight and insurance of imported products. Different tariffs are applied on different products by different countries. National sales and local taxes, and in some instances customs fees, will often be charged in addition to the tariff. The tariff, along with the other assessments, is collected at the time of customs clearance in the foreign port. Tariffs and taxes increase the cost of your product to the foreign buyer and may affect your competitiveness in the market. So knowing what the final cost to your buyer is can help you price your product for that market. In addition, your buyer may ask you to quote an estimate of these costs before making the purchase. This estimate can be made via email, phone or in the pro forma invoice. Some countries have very high duties and taxes; some have relatively low duties and taxes. If your product is primarily made in the U.S. of U.S. originating components it may qualify for duty-free entry into countries with which the U.S. has a free trade agreement (FTA). We currently have FTAs with more than 20 countries. Targeting FTA countries is a good market entry strategy because buyers pay less tariff for goods made in the U.S. compared with similar goods from countries without FTAs. Here are the steps for finding and calculating estimated tariffs and taxes. Keep in mind that what you get from this process is an estimate. Only the customs officers in the country where the goods clear can make the final determination. The first step in determining duty and tax information is to identify the product classification number, i.e. Harmonized System or Schedule B number for your product(s). More importantly, your goods won’t ship without this number on key shipping documents. The Census Bureau sponsors a free online tool called the Schedule B Search Engine and an instructional video to help you classify your products. We also have a recorded webinar on the topic, which goes into greater detail about using the search engine tool and a second tool for finding the tariffs and duties by the importing country. If after viewing these learning aids you remain unsure of the best HS number for your product, you can phone U.S. Government commodity classification experts at 1-800-549-0595, option 2. Once you know your product’s 10 digit Schedule B number, use the first six digits as the HS number. Now you can determine your product’s applicable tariff and tax rates for a specific foreign country you are shipping to from the United States. Here’s how. Online searching for tariff and tax information covering shipments from the U.S. to 120 plus countries is also available via our online subscription with a third party information provider. Please read this Disclaimer statement regarding third-party information providers. Below is also a list of publically available databases with tariff and tax information. In general, these are the tariff and tax books published by each country’s government that list tariff (duty) rates by each product’s HS code. We try to acquire the most recent publication. Your shipper, broker or a freight forwarder should be able to assist you with your search. To locate a shipper, you may want to contact FedEx, UPS, DHL, eBay or other vendors that would help you locate duty and taxes including Shippers Association and the National Customs Brokers and Freight Forwarders Association. Austria, Belgium, Bulgaria, Croatia, Cyprus, Czech Republic, Denmark, Estonia, Finland, France, Germany, Greece, Hungary, Ireland, Italy, Latvia, Lithuania, Luxembourg, Malta, Netherlands, Poland Portugal, Romania, Slovakia, Slovenia, Spain, Sweden, United Kingdom. Tarrif look up in Spanish: To locate duties and taxes for exports to Mexico click on "Aranceles y normatividad". The search result will include duty (Arancel) and VAT tax (IVA). 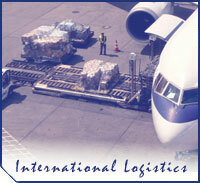 Be sure to use the duties and taxes listed under "Importation", i.e. imports TO Mexico. Textiles and Apparel tariff resources compiled by the Office of Textiles and Apparel. WTO Tariff Database (use the “Applied Rates”. Requires registration. After reviewing the resources presented here you may have new questions about free trade agreement countries or country markets with multiple fees or that express charges in the country’s national currency. Read more information on FTAs, specifically whether or not a special document is needed or whether your goods qualify. For these and other questions or information requests, send us a quick email and we’ll get back to you within one business day. (1) Go to “Create Account”. (2) Enter the appropriate fields with your personal information. (3) Once you receive an email confirming you are registered, log on to “Customs Info” by going back to the home page. (4) Enter the country and the Tariff Number (also known as the Harmonized System Number / Schedule B number). (5) Then click the “Search” button under the Tariff Text Box. (6) Next to your Harmonized System Number / Schedule B number, choose the icon that is farthest away from the Harmonized System Number /Schedule B Number. If you place your mouse’s cursor on that icon, the words “Calc duties and taxes” will appear. (7) On the next screen, press the “Calculate” button in the middle of the screen.